Thank you for your attentions and Support to us. as standard which is 3-5 working days for kit parts and 5-10 days for RTF/Finish items. First of all, Happy New Year 2018. We would like to thank you to our customers for the wonderful year of 2017. There are 2 new things in this year we are about to do. 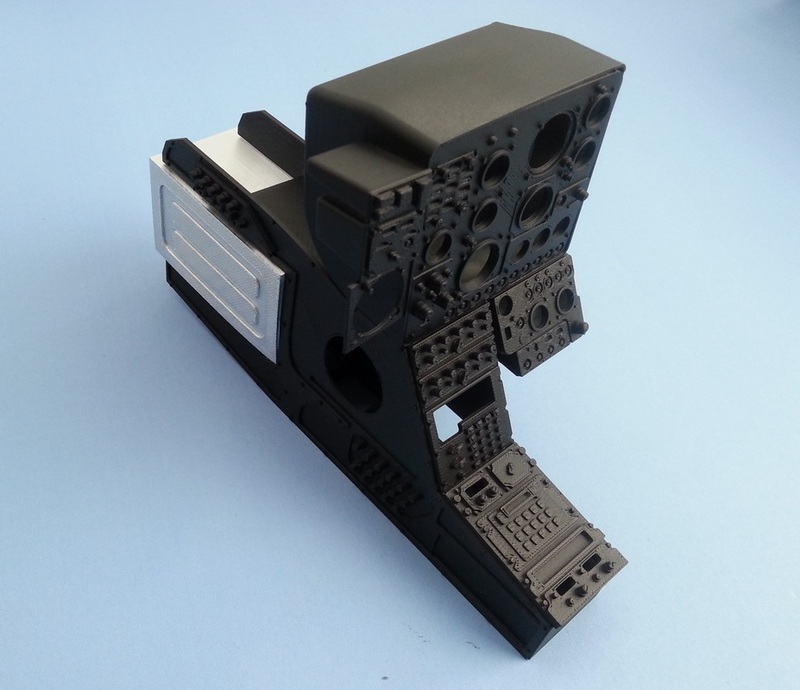 First, we make a new tab on the website 'New products' as requested by our customer to show every new scale parts me make so that everyone can keep informed quickly. (please visit this new tab on the left bar of our website for more detail). We are preparing to be able to deliver new material of 3d printing made from Metal, carbon other kind of exotic raw material to meet our customer's demand. We will inform you whenever this new service will be available. Last but not least, We thank you for all feed back and support from our customer and looking forward to work with you this year. ​We are now having issues with regards to automatic delivery costs. Paypal is now working to find the solution. In the meantime delivery charges will be sent to customer by paypal invoice until the problem is solved. We apologise for the inconvenience. ​We will be close for about 10 days starting on 9 to 22 May 2017. Therefore the last order that will be able to be sent out will on the 2nd of May 2017. Any order received after 2nd of May will only be produced and send out after 20th of May 2017 on the basis first come first out basis. We have uploaded some more scale parts this month. of December 2015 will shipped out in the first week of January 2016. Picture showing water raft system skid. Now available for all scale. Happy Holiday and Thank you for your customs. waiting for 450 AH64 and 450 Mil mi Hind fuselage, they are taking shape now, and we plan to start the test flight this Spring. January 2014 : Happy New Year! and stickers are on the way. We have uploaded more than 60 parts from different scales and models, from single to complete set of items. This will include 1:5 Bell 230, AS 350 Squirrel to Hirobo c46 or C113 Labrador. Many most popular 1:6 class or 900 class new parts and accessories are also available like for EC 135 full scale seat and Police Search Lamp. There are also about 20 more items which is schedule to be available next month. We apologise for not updating our website during this month period due to a major backbone change with our website provider. Despite the busy Summer time, we still committed to the new accessories for new breed of helicopter. NH90 and BattleHawk are among others. They are now available. More 900 class accessories for EC 135 are now ready as well. and scale seats are ready. All be made from very light weight ABS plastic. cover for fenestron stator from other manufacturer in the market. We started up again on 2nd of January 2013, It was not really smooth as we expected because we did not calculate the time needed for re setting all equipment and machines! Dear Friends, We will be closing from 8 to 31 December 2012. This will allow us for total re-layout of our current workshop to receive some more new machine. Some more scale parts are added this month tail skid for EC 145, more options for position light 900 class, and there is triangular foot step but with different level. There is Type 2 Skid sink protection and fenestron Antenna as well. Front Holder for Spectrolab is now available. It is made entirely from ABS Plastic. This will ensure a strength and robust holder for valuable Spectrolab during flying.